This time I’d like to make a couple of exceptions from the usual way of putting every single task under a category because these two are so huge I want to tell about them right away. Alright, I realize that when it comes to changing the design, there’s always going to be a controversy. There will always be those who find it better than the old one, and there will always be those who don’t. Our hope is that the majority of users will find the new navigation system more convenient. What exactly has changed? There is now a side menu, which will help to navigate through the app more easily. Besides that, we can finally utilize the context menu in the top-right corner, you can find an example of this in ’Apps Management’ section. 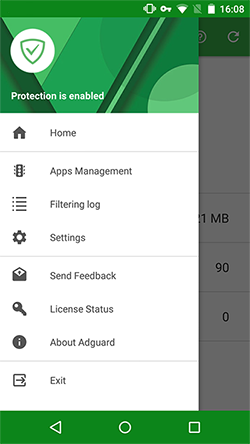 By the way, ’Apps management’ will now include all Firewall settings as well. Having these two sections together at the same time felt excessive and confusing. Oh, boy. Anyone who has ever tried to check what’s being filtered/blocked knows the struggle of inspecting Adguard’s log file. It was the only way, and I doubt there is a single user who found it convenient. No surprise, as it was initially meant to be used by filters developers only. We were thinking: ’Why would anyone want to see on such deep level what do their apps do?’. We had been completely ignoring tech savvy people who do care about it and do want to have a complete control of what is going on on their device. I’d like to apologize for this. We should have implemented filtering log functionality a long time ago. Well, better late than never. The filtering log has arrived, come and see for yourself. We don’t expect to hit the nail on the head on the first try, so your feedback on what’s lacking and what you can live without is invaluable. Adguard for Windows users are familiar with this option already. Extended Validation SSL certificates grant that the owner of the certificate went through a very strict process of verification. The trust for such certificate owners is much higher — those are usually banks, other financial organizations etc. Often times there are zero or close to zero ads on their websites, and filtering them is excessive anyway — it only increases the chance to break something useful. From the beginning, the VPN autopause functionality was not a ’feature’. It is a workaround for some known Android issues and bugs. For example, tethering could not work along with a VPN, or Adguard’s network access could be denied in power saving mode. 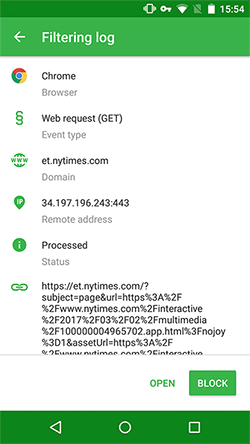 It seems that all these issues are sorted out in the newest Android devices, so we have disabled autopause functionality for them. 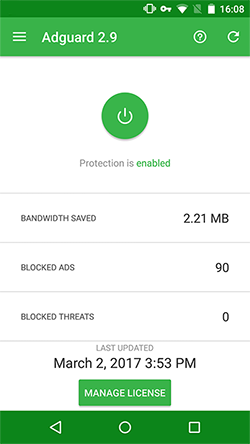 You can turn it back ON in Adguard’s low-level settings if needed. 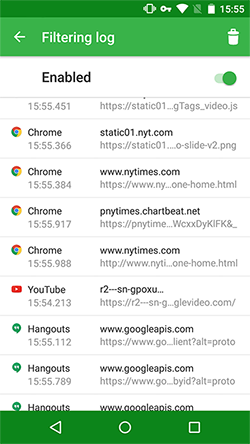 Available from the context menu that we already mentioned above, it grants a fast and easy access to the most common settings that can be applied to all apps at once. Initially, there was just a bug that prevented Adguard from filtering ads in Moscow subway Wi-Fi network. Turned out that wi-fi.ru is located inside of a LAN, which we exclude by default. Rather than making an exception for this particular network, we decided to choose a more broad approach and create a new preference. Depending on the firmware, Android might be very aggressive to background services, killing them really frequently. In Adguard case this aggressive behavior may be truly destructive. This feature starts a special ’watchdog’ service that keeps Adguard’s main process alive. However, it is disabled by default as most of the Android devices do not suffer from the ’random process killing’ issue. This is quite a list already, and I decided against including some of the minor issues here. Imagine what the v3.0 release notes will look like! :) By the way, what would you like to see there? Make sure to read our sneak peek article first, and then post your suggestions in the comments. Google plans to add adblocking features to its Chrome browser, Wall Street Journal reports. 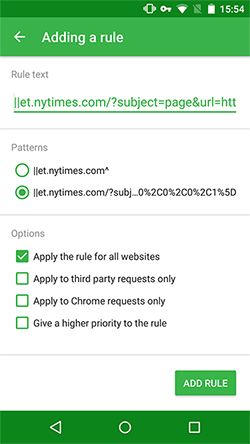 They will appear in mobile and desktop Chrome, turned on by default, but will block only ads that are unacceptable by Better Ads standards. But these and other details are not clear yet, not only to Wall Street Journal but to Google itself.